A lot of people dream about changing the world, but very few ever try it. Let alone do it. I’ve tried it twice. And have been blessed by actually changing the world, even if only a little bit. The first time was the original Benji movie. Most people think it was a Disney film. It wasn’t. Disney turned it down. As did every other studio in Hollywood. Twice. Once in the script stage and again after we had raised the money privately and independently produced the film. We had no choice but to attempt to distribute the movie ourselves. We made a lot of mistakes. But we also did a lot of learning, developed a new way of doing things, and Benji ultimately became the #3 movie of the year. Which brought a lot of happiness into the world. As I said, we were blessed. The second time we played a role in changing the world was when Kathleen and I entered the horse world totally without a clue. We soon discovered that everything we were being told about the way horses should be kept and cared for made no sense. Was without logic. And turned out to be genetically incorrect. 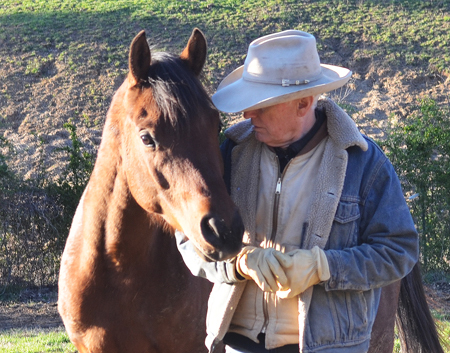 That inspired a new passion, and a new way to care for horses, and I had the gall to start writing a book to tell that story less than a year after getting my first horse. 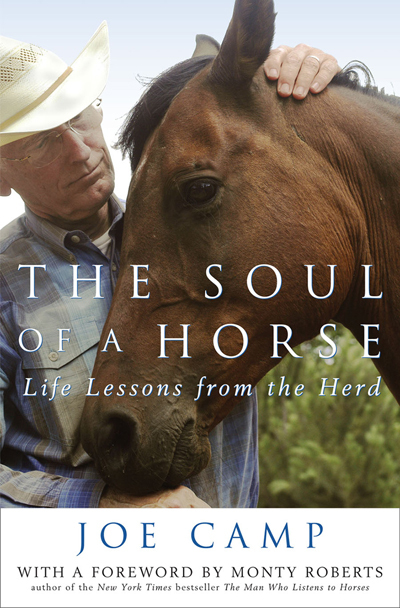 That book, The Soul of a Horse – Life Lessons from the Herd, and the books that followed, have changed the lives of tens of thousands of horses for the better all across this planet. Against the voices of traditionalists saying no, you can’t do that! It won’t work. But it does, and we proved that it does. Someone else with a dream to change the world was Dr. Joel Wallach. Even as a child on the farm he was discovering the value of minerals and nutrition in creating good, illness-free health in animals. As he grew up and studied more, his passion grew, and an entirely new way of looking at health began to emerge. Dr. Wallach’s relentless 45-year pursuit of scientific truth and his persistent willingness to challenge the status quo has enriched the lives and improved the health and well-being of millions of animals, then millions of people. First as a scientist and a vet, then as a physician. His research has been published 75 times in peer-reviewed medical and scientific journals internationally. He has written several books, one of which is in the Smithsonian (Diseases of Exotic Animals). He has removed more than 900 diseases from the animal world and gone back to school at 40 to become a naturopathic physician so he could prove that the same research that works for animals also works for humans. And prove it he did. And yet, for the most part, the medical and pharmaceutical world ignored him. I understand how he must feel. I’ve been there and done that. He didn’t quit. He didn’t give up. He didn’t throw up his arms and walk away. And he now has his army. And a publicly traded $100,000,000+ company. He found another way to bring health to the masses. He re-invented the system. And all that money that a traditional company would be pumping into advertising, supply-chain staff and infrastructure, sales and marketing teams, media, etc, he’s handing back to that army. Think about this. There was a clinical research study of adults all around the world who had contracted cancer and were being treated with chemotherapy. The study went on for 12 years. And the results were published in the Journal of Clinical Oncology stating that 97% of the time the chemo did not work. But studies prove that taking 200 mcgs a day of the simple mineral selenium can reduce the risk of prostate cancer by 69%, colon cancer by 64%, and breast cancer by 82%. But the naysayers persisted. Dr. Wallach had to sue the FDA three times in federal court to finally win the endorsement of the FDA in stating that selenium can prevent certain types of cancer. Another study: the risk of breast cancer can be reduced by 462% by just eating meat cooked medium or rare, instead of well-done or seared. Who knew any of this? You probably guessed it. Money. The medical and especially the pharmaceutical industries are not interested in good health, in nutritional prevention, because there’s no money in it. Your body can do amazing things. It can heal itself if it has the choices that it genetically needs. We’ve worked hard to give our horses the choices their bodies need, but we’ve ignored ourselves. Until now. Listen to this amazing lecture by Dr. Wallach about his life’s work: Dead Doctors Don’t Lie And watch an 8-minute video of Dr. Joel Wallach’s history and an overview of the entire Youngevity 90 For Life program. I have had two bad knees forever and they are now both pain free for the first time in years. I have two shoulder rotator cuff tears, and they are now without issue or pain. I feel better, healthier than I have in years. I’m off my cholesterol medication. My arthritis is gone. I have more energy. Much more positive attitude. I sleep better. I sing more to the horses (who are hopefully tone deaf). 100 years ago we were ingesting these 90 different minerals and nutrients every day but we are not getting them today because of the way our food is grown and processed. To make them available to our bodies we have to supplement. And because these products are so good (and so real! )… and because those who try them get so excited about their results… and because the company has such a super compensation model… if you desire, you can be paying for your own products and putting money in the bank while changing your life and other people’s lives for the better in very short order. What could you do with an extra $2000/month. I can show you how to do that in your spare time in less than 90 days. Folks who work at it full time are making 10x that. Some 20x that. I will never make that because the horses are my first priority. As I mentioned above Doctor Wallach has amassed that army of passionate crusaders and he pays them a ridiculous amount of money to share the 90 For Life message with the most advanced nutritional products available anywhere at any price. I can show you how to take it as far as you want to. And that, too, is exciting. Dr. Linus Pauling, one of the two greatest scientists of the 20th century, acknowledged by his colleagues as the most influential chemist since Lavoisier, and a two-time Nobel Prize Winner, said that you can trace every sickness, every disease, every ailment to a mineral deficiency. Dr. Joel Wallach was listening and has clinically proven it, and the result is this program. The 90 For Life program regularly takes people off Type 2 diabetes meds, off blood pressure meds, off cholesterol meds, off pain meds, and helps people lose weight. Dr. Wallach loves folks with arthritis because he says it’s so easy to fix. Dr. Wallach’s mantra is 90-90-90. Use these 90 essential minerals and nutrients for 90 days and 90% of your problems will be gone. I thank Dr. Wallach from the depths of my heart for changing our health and our lives. For not giving up. For standing against the naysayers with a new health paradigm based upon being healthy, disease-free, and living longer instead of waiting around for some illness to strike and then hoping there’s a doctor who can fix it. And I thank our internist, Dr. Chris Marasco, for being a most unusual MD who holistically promotes being healthy and disease-free. For focusing on prevention, not just cures and fixes. They are most definitely changing the world. I am 78 and haven’t felt this good since… well… I can’t even remember. I encourage you to join us. To put your health and well being on offense instead of defense. You will not only be changing your world, we will all be helping Dr. Wallach change the entire world for the better. And I’ve always found that to be a good thing :). Give me a call or an email shout-out and I’ll be happy to answer all your questions. It’s time to get healthy! 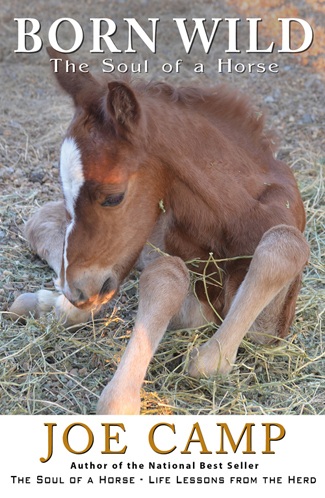 Oh, and it’s also time to get your horses healthy because those same essential plant-derived minerals that you supplement with have just been approved and certified for horses, cattle, and other livestock by The Organic Materials Review Institute. Read about it here.